Not too bad this one for a seafront pub. roomy, good ales, staff pleasant, might be busy on summer evenings, will use again next time on a day trip. 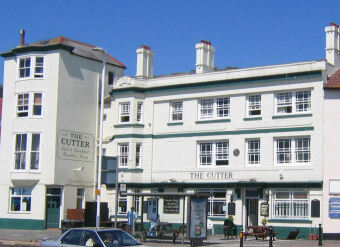 Wish we had more pubs like this in Sussex, Bexhill seems to be losing venues one at a time, but not Hastings it seems. OK if you want to watch sport. Nice landlord & a pleasant place, but the ale is not brill. Food is plentiful and filling. If you are a real ale drinker go elsewhere. Sorry landlord. Harveys in good nick whenever I've been in here, not everyones cup of tea but I like it in hear on a Saturday afternoon watching out for the football results. The staff are great and i love it!